Twenty-eight intricate images offer a mind-expanding coloring experience. But there's morehere than meets the eye look closely to find the bumblebees, teacups, mushrooms, and other surprising figures hidden amid the wild, swirling designs. Answers are included and illustrations are printed on one side of perforated pages for easy removal and display. 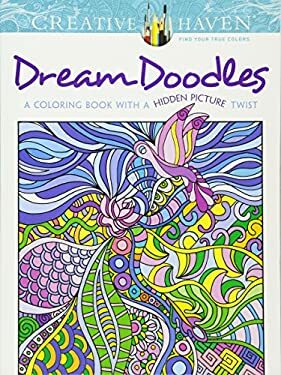 Specially designed for experienced colorists, "Dream Doodles with a Hidden Picture Twist"and other Creative Haven(r) adult coloring books offer an escape to a world of inspiration and artistic fulfillment.Each title is also an effective and fun-filled way to relax and reduce stress."